Occasionally, okay a lot, I see something and it becomes something else other than what it’s intended purpose is. 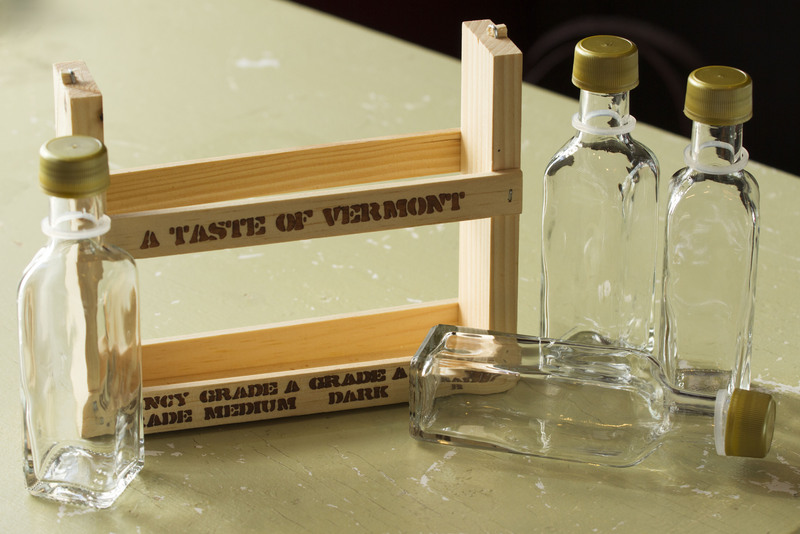 For example, I couldn’t wait for the syrup to be used in this syrup crate with four little bottles. To me it had possibilities for another life, not just being tossed into the trash. I washed the four little bottles, painted the crate with chalk paint, distressed it a little, then waxed the crate. I drilled holes in the two ends to make a wire handle. I am not sure it will stay like this. I may do more with it but the simplicity of this flower container suits me for now. Happy crafting! 28 Feb	This entry was published on February 28, 2014 at 10:12 pm. 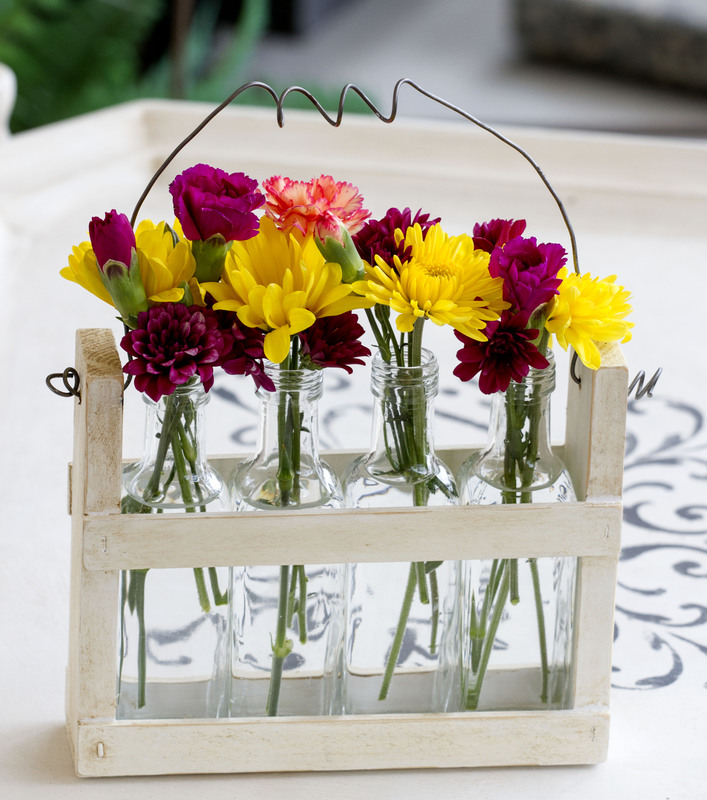 It’s filed under DIY, Re-purpose, Re-purpose Gallery and tagged bottles, crate, flowers, re-purpose, syrup, trash to treasure, up-cycle, vase. Bookmark the permalink. Follow any comments here with the RSS feed for this post.